From the world-renowned etiquette expert and her granddaughter, Liv Tyler, an elegant guide to 21st-century manners and etiquette for professionals who want to be confident and successful in the business and social arenas. 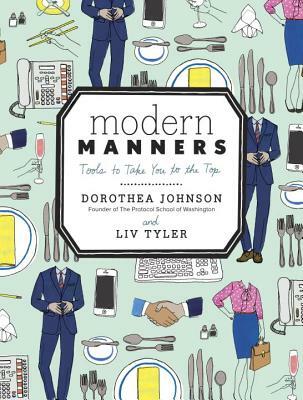 Founder of The Protocol School of Washington, DOROTHEA JOHNSON has presented seminars and briefings on manners to more than 100,000 individuals worldwide. She has authored five books, including the bestselling The Little Book of Etiquette, and has appeared as an etiquette expert on The Ellen DeGeneres Show. Empire Records, Armageddon, That Thing You Do!, The Lord of the Rings trilogy, The Strangers, The Incredible Hulk, and Robot and Frank. She lives in New York City with her son.